Sometimes the BBQ Jew lifestyle, such as it is, involves supreme sacrifice in the name of research. Recently I stumbled into just such a situation. I was returning home from a long day–and part of the night–at the office and was in desperate need of nourishment. Almost without thinking, and with utter disregard for my need for nourishment, I steered into a Burger King looking for a quick burger. 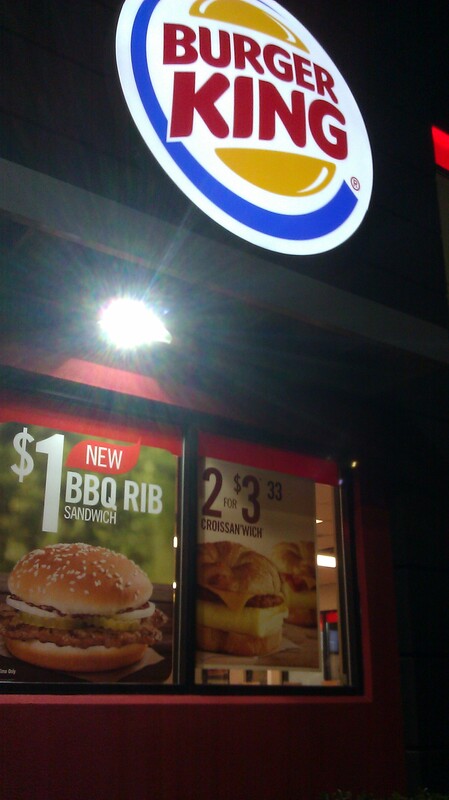 The poster outside advertised the new BBQ Rib Sandwich, and for only a dollar. Despite my best intentions to play to BK’s strengths and order a Whopper, I had no real choice. It was BBQ Rib Sandwich time–I had to try it and report back to the huddled barbecue masses (you). Although the BBQ Rib Sandwich didn’t contain anything I would describe as inclusive of barbecue or rib, it was indeed a sandwich. And not a bad sandwich at that. The BBQ Rib Sandwich is basically a pork burger, with ground pork shaped into a patty, and a reasonably tasty one at that. I could have done without the sweet barbecue sauce, but my low expectations were exceeded. The BBQ Rib Sandwich is a different animal (maybe literally?) than the McRib, and for that I was thankful. Don’t get me wrong, I have no plans to ever eat a BBQ Rib Sandwich again but then again I never planned to in the first place. I am amazed that you ate that fast food garbage. how ’bout a one dolla pulled pork sammy to make ya holla? so much great info here its a shame to disrespect it all w/ yum corp fake phude crap. oak and orange wood for me pls. 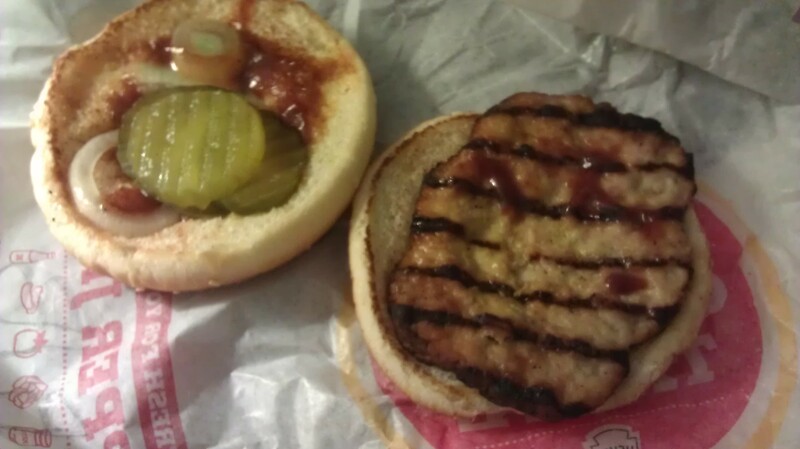 You don’t really know hat’s in that “pork” burger, do you ? The bun alone is inflammatory and unhealthy enough to kill you over time.